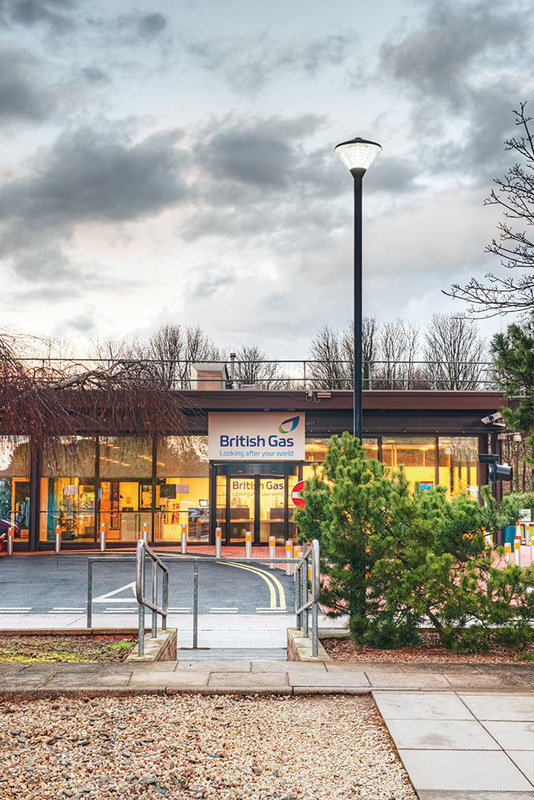 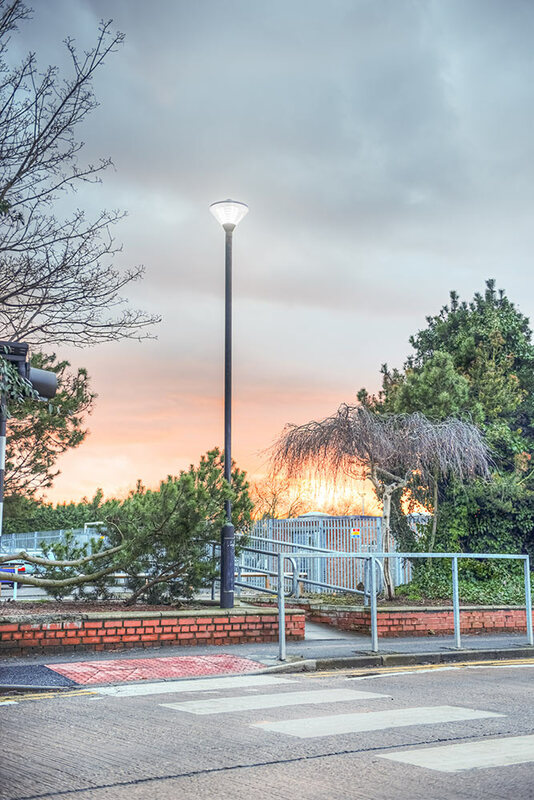 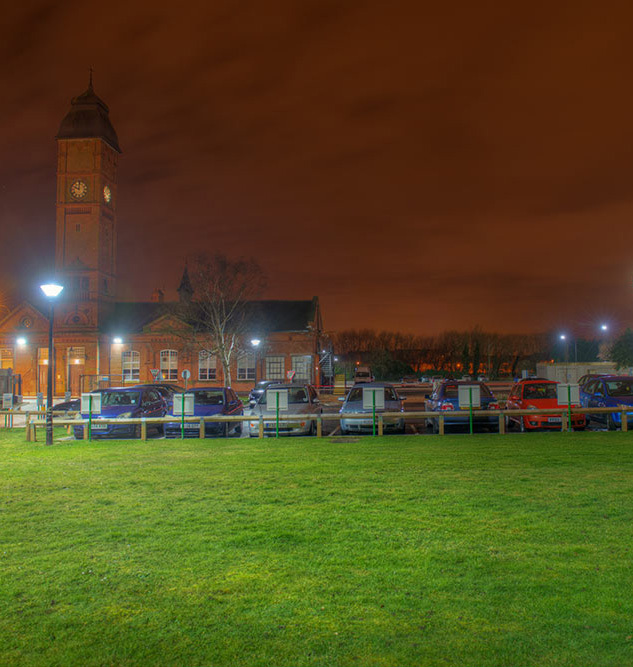 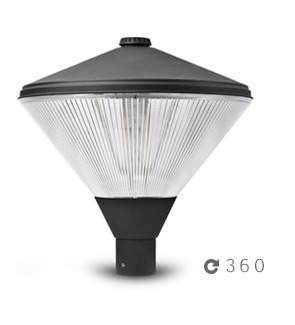 The Trafalgar is a traditional IP65 / IK08 LED Post Top with a 360° light distribution. 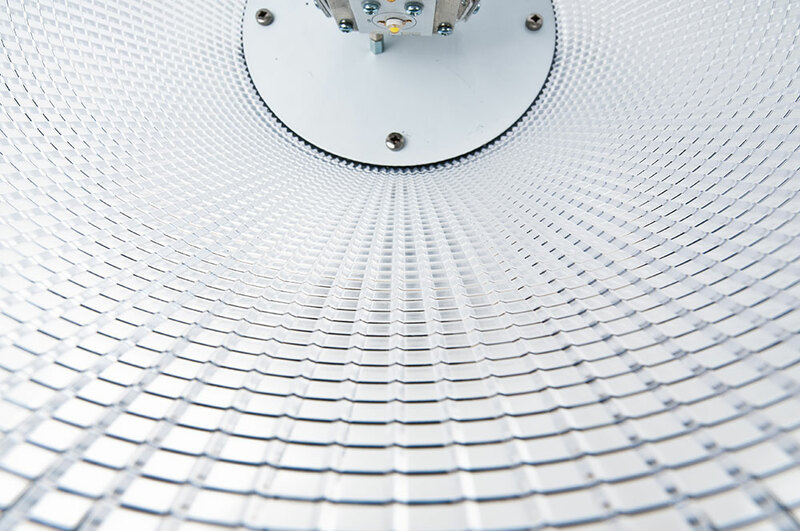 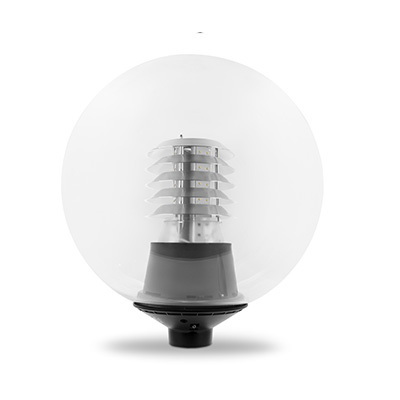 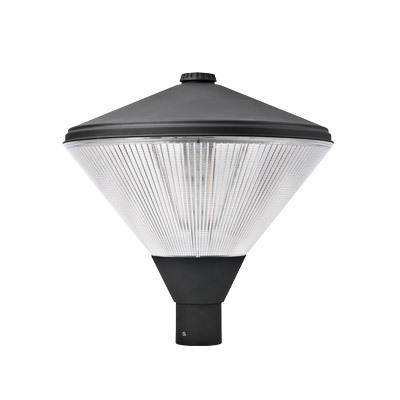 Manufactured with high pressure die cast aluminium and a prismatic diffuser for a controlled distribution of light. 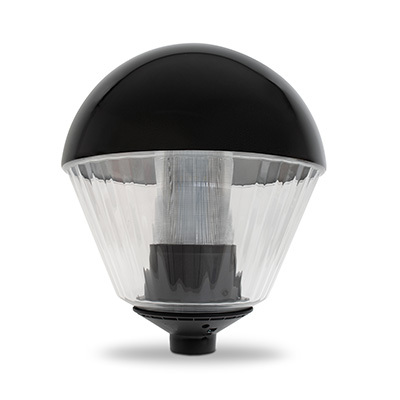 Options include Mini Photocell, Nema Socket, Dali and spill shield. 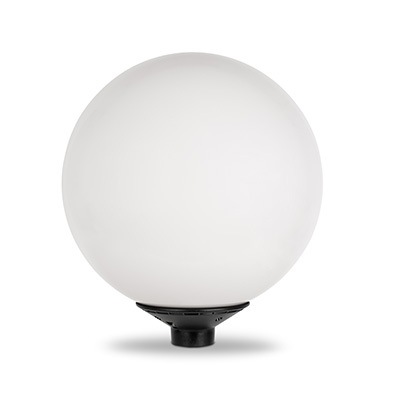 Options available include Mini Photocell, Nema Socket and Dali. 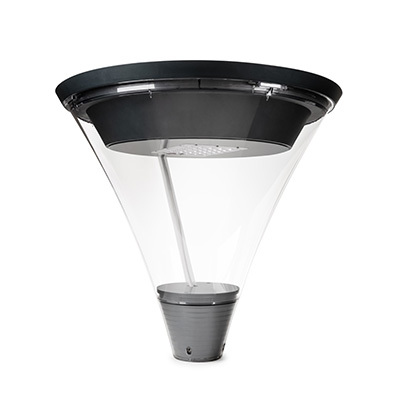 Prismatic diffuser for a controlled distribution of light. 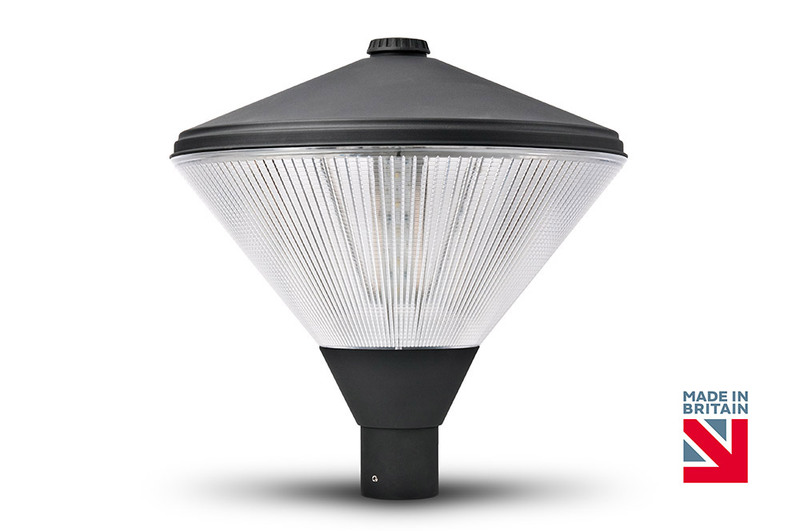 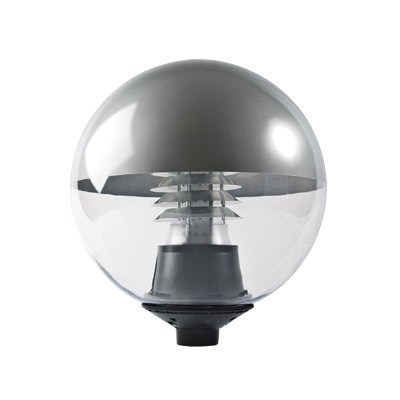 IP65 LED Post Top manufactured with high pressure die cast aluminium and prismatic diffuser – Size: ø527mm x 530mm. 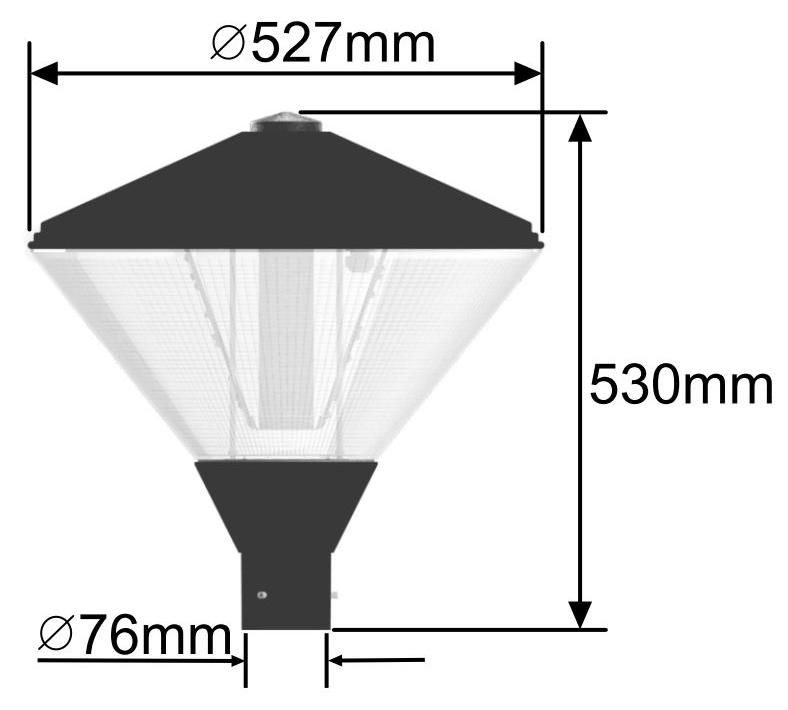 30W with 3,600lm LED rating and minimum Luminaire Flux of 3,163lm from [4000K / 6000K] LEDs and [Osram / Dali] LED driver. 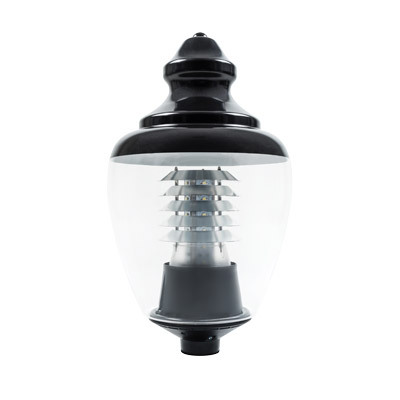 To contain [Mini Photocell / Nema Socket]. 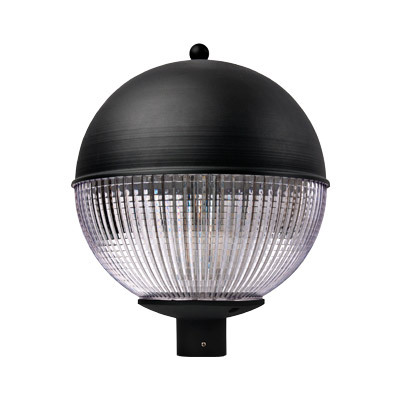 As Gemma Lighting – Trafalgar.